The National Council for Therapeutic Recreation Certification examination, commonly known as the NCTRC exam, is a challenging and comprehensive assessment for men and women looking to enter this fast-growing profession. The examination has been developed according to precise specifications. It is divided into four content areas: foundational knowledge (33.3% of the exam), practice of TR/RT (46.7%), organization of TR/RT (13.3%), and advancement of the profession (6.7%). The foundational knowledge content area covers background information, diagnostic groupings, and theories and concepts. 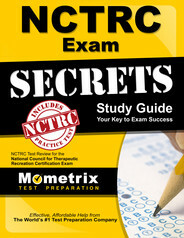 As for background, the NCTRC exam covers human growth and development through the lifespan; theories of human behavior and theories of behavior change; principles of behavior change; diversity factors; models of health and human services; and principles of group interaction, leadership, and safety. The diagnostic groupings section addresses cognition and related impairments; anatomy, physiology, and kinesiology and related impairments; senses and related impairments; and psychology and related impairments. With regard to theories and concepts, the NCTRC exam covers normalization, inclusion, and least-restrictive environment; architectural barriers and accessibility; societal attitudes; legislation; relevant guidelines and standards. It also includes theories of play, recreation, and leisure; leisure throughout lifespan; and leisure lifestyle development. The practice of TR/RT content area covers strategies and guidelines, assessment, documentation, and implementation. The strategies and guidelines section covers the concepts of TR/RT; models of TR/RT service delivery; practice settings; standards of practice for the TR/RT profession; and the code of ethics in the TR/RT field and accepted ethical practices with respect to culture, social, spiritual, and ethnic differences. The assessment section of the NCTRC exam addresses current TR/RT/leisure assessment instruments, other inventories and questionnaires, other sources of assessment data, criteria for selection and/or development of assessment, implementation of assessment, behavioral observations related to assessment, interview techniques, functional skills testing, sensory assessment, cognitive assessment, social assessment, physical assessment, affective assessment, and leisure assessment. The documentation area of the NCTRC exam covers the impact of impairment and/or treatment; interpretation of assessment and records; documentation of assessment, progress/functional status, and discharge/transition plan; and methods of writing measurable goals and behavioral objectives. The implementation section includes questions about recreation and leisure activities; selection of programs, activities, and interventions to achieve assessed needs; activity task analysis; activity modifications; modalities and/or interventions; facilitation techniques and/or approaches; and leisure education/counseling. 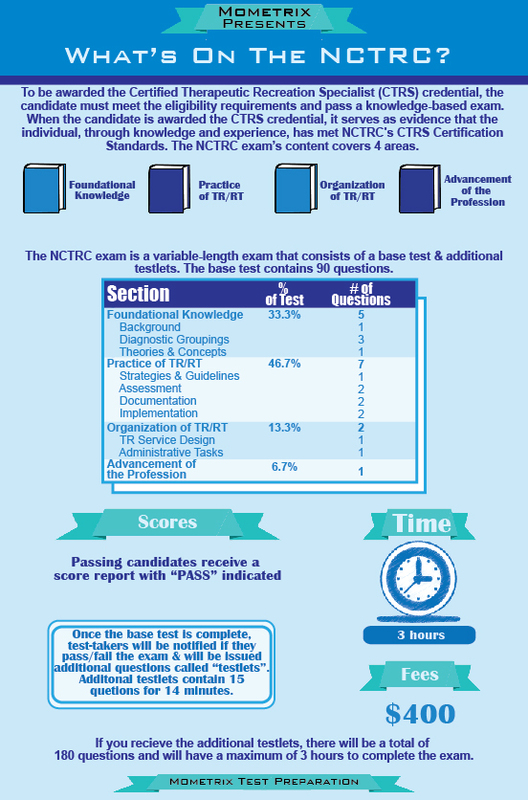 Ace the NCTRC test using our NCTRC exam study guide with practice questions. 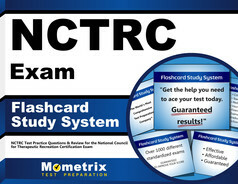 Quickly Solve Difficult NCTRC Test Questions with the NCTRC Flashcard Study System.